Having a room with a view is a luxury in life, and when you’re camping or touring you have the unique perk of changing this view very often. But not all views are born equal and some pitches offer views of the United Kingdom that are out of this world. Want to experience them?  Here are our some of our favourites that we feature here on Caravan Sitefinder! A firm favourite among both tourists and locals, and the campsite, which sits on the cliff high above the cove is one of the best in the south west. The campsite has stunning views which look out to the Atlantic and is just a short walk up the hill from the beach, pubs, cafes, surf-schools and chippies at the bottom. The campsite is open from April through to September and welcomes both tents and touring campers, with 72 serviced pitches. There is also a cafe and small shop on site. If you’re going to Scotland, you may as well stop at one of the most jaw-dropping pitches available. This campsite, which sits on the shores of Loch Greshornish, offers everyone that stays there views over the water and onto the hills beyond. The campsite sits on a working croft, and cattle and sheep graze nearby. Fresh eggs from the crofts hens can also be purchased at the onsite shop. Motorhome, touring and camp pitches are all available. On the north east side of Anglesey sits this little beauty of a campsite. With the beach just a stone’s throw from the campsite and views to die for, it’s not wonder that this site is the winner of countless awards. Tyddyn Isaf is perfectly based for adventures both on the water and in the mountains, as the mountains of Snowdonia are just a short drive away. The campsite offers touring, motorhome and camping pitches, as well as an onsite coffee shop and restaurant. Set on the cliff above it’s own private and sheltered beach, Ladram Bay has a one-of-a-kind location. Water sports are available on the beach, as well as quiet spots for lounging on the sand and stunning views of the sea and coastline from the campsite. Motorhome pitches, touring pitches, camping and holiday homes are all available at this 5-star holiday park. There is also an onsite supermarket and swimming pool if the weather will not permit jumping in the sea! If there was ever a campsite for mountain lovers, this is it. Set at the base of Ben Nevis, the Glen Nevis site offers a location like no other. Hike to the top of Ben from right outside your camper or simply sit and drink tea with towering mountains all above. Pathways and trails are available all over Glen Nevis, so even the novice walker can enjoy the mountain air! Chalets and holiday homes are available for hire here, as well as touring, motorhome and camping pitches. With a unique location on the shores of Lake Windermere, this campsite is a sure winner with boating enthusiasts. Spend your evenings here BBQing by the water or with your feet dipped into the lake with a glass of wine in hand. From the campsite, there are also hundreds of walking trails for you to explore the surrounding countryside. Both motorhome and touring pitches are available at Hill of Oaks, as well as holiday homes. There is also an onsite shop and a children’s play area. Follow the author Lauren Williams on Twitter or read her Blog theenjoyablerut.com.